OPTIMISING SOCIAL ECOSYSTEMS - Ultra International B.V.Ultra International B.V. The obstacles facing long-term patchouli sustainability in Indonesia should worry all players that make use of the plant’s essential oil across any stage of the perfume supply chain. The solution lies in collaboration and comradery between colleagues and competitors alike, working together to refine understanding of patchouli’s lifecycle, encourage best practices, and invest on the ground to help farmers cascade the quality of their work onto distillers, exporters, and fragrance houses, right until it reaches consumers’ hands in store. Patchouli is experiencing a rejuvenation in fine fragrance right now. Whilst Gen X consumers in the traditional perfumery markets of North America and Europe may associate its woody camphoraceous profile with 1960s hippie culture, patchouli is losing its previous marijuana-inflected nature-loving connotations in favour of a more refined gender-fluid representation of city life in modern feminine chypres such as Miss Dior by Dior and luxury niche offerings such as Portrait Of A Lady by Frédéric Malle. 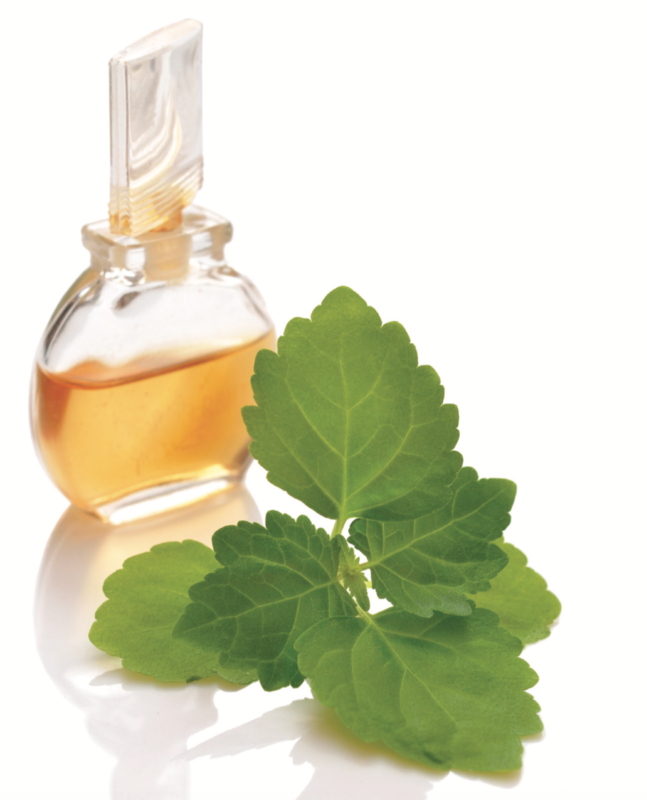 As ambers, ouds, orientals, and gourmands (in which patchouli is essential) continue to gain share in New Product Development, consumer trends indicate that patchouli essential oil demand will grow at a steady rate. In the field, patchouli plants are suffering from a competitive crop marketplace, weather swings and, most importantly, over-farming. Up until recently, the unsustainable methods being used to farm patchouli have been ignored by the major international buyers and have left farmers uncertain of the health of their land and their future. A new mood of thinking suggests that no one wins unless the farmers are also winning, otherwise quality and productivity will wildly oscillate in the years to come affecting business relationships, deliverability, and profits. A species of plant in the mint family, patchouli (Pogostemon cablin) is native to the Asian tropics and holds an odour profile that is rich, earthy, and dry, with the finest examples possessing a bitter chocolate tone that is indicative of higher patchoulol content – the active that denotes the characteristic patchouli scent. Whilst rubbing patchouli leaves in one’s hands will hint at its secrets, the aroma is only truly revealed after undergoing steam distillation. It is said that Pharaoh Tutankhamun had 10 gallons of patchouli oil buried in his tomb and that the Romans used it as an appetite stimulant. Its benefits have long been explored in traditional Asian medicinal practices, using patchouli to treat dandruff, skin irritations, acne, and eczema as well as for use in meditation. It became more widely known in Europe in the 1800s through the fabric trade routes, particularly from India, as dried patchouli leaves would be stuffed into rolled carpets and rugs before export to function as an insecticide. The resultant scent was so linked to authentic merchandise that traders would doubt the validity of arriving goods if they did not smell of patchouli. Today, Indonesia contributes to just over 80% of the world’s supply, representing on average 35% of Indonesia’s total export revenues from natural essential oils with an excess of 1,500 metric tonnes. Significantly, one of the greatest challenges with patchouli at the moment is research and development – unlike coffee, cacao, and palm oil, which collectively have thousands of research studies produced for the food industry on the plants’ metabolism, there exists almost no literature on patchouli, meaning decision-making has been largely experimental. The terroir of the Indonesian archipelago (its unique ecological conditions) make the perfect home for patchouli. Warm air currents, consistent rain, high volumes of sunshine, volcanic soil, and mid-altitude plains ensure year-round consistent growth that helps the plant develop to harvest quickly in only a two to three-month cycle. The chemical profile of patchouli also dramatically changes depending on soil environment. Hilly areas produce a much higher grade of oil than flat areas near the sea and, as patchouli crops drain the land of nutrients very quickly, soils rich in humus and a pH range between 5.5 to 7.5 are ideal to optimise production. The challenge for today’s industry is to discover what really matters when it comes to patchouli. For a long time, patchouli essential oil has been tested for acid value and refractive index to determine its suitability for end-product use. Whilst they have their importance later down the value chain with regulation and consistency, many argue that acid value and refractive index do not affect the smell of patchouli and therefore can be discounted from the specification process. Patchoulol, of course, is the single most important constituent for quality patchouli oil – the higher the patchoulol content, the higher the grade of product. In a new R&D effort to aid crop reliability and aim for higher patchoulol values, Ultra’s partner in Indonesia, Van Aroma, is currently testing various intercropping and bedding hypotheses including planting vetiver, banana, and citronella side-by-side with patchouli and is monitoring long-term output of test farms. It is too early for results, but these tests represent new ways to harness Indonesia’s terroir to save the sustainability crisis. September’s tsunami in Palu took everyone by surprise and is a great tragedy for Sulawesi. In reference to patchouli, a few areas of cultivation were touched but thankfully the impact was not major. In fact, the more serious short-term concern is the continuing dry season, which is significantly hindering crop productivity and health. Along with the recent disaster, a speculative atmosphere is emerging in which growers start floating enquiries in fear of what is to come which creates uncertainty and potential price fluctuations. Despite its ideal topography, or because of it, Indonesia still faces challenges in cultivation and farming culture. Without doubt, the most demanding challenge facing patchouli production today is its long-term sustainability, which is constantly under threat. The main cause has been over-farming and poor care of the land, relying on lacklustre traditional cultivation templates, no bedding, no cover for planted seedlings, and no fertiliser (or using chemicals instead of organic products). Following an initial incubation period of two to three months when baby seedlings are matured in a greenhouse and the soil is brought up to standard, patchouli should provide a healthy harvest once every 90 days. However, many farms not implementing guidelines in Indonesia are surprised to find, following a bountiful initial crop, that the plants are smaller and smaller as the year goes by; by 12 months crops can begin to get infected, and by 18-24 months the land can become barren. On top of this, there has been a trend in the past of farmers cutting the plant too early in order to advance their cash, which results in a poorer end yield and inferior distillation. The farmers are certainly not alone in blame. Patchouli works the soil very hard, even when 100% best practices are actioned. Regardless of the soil profile, patchouli will only grow on one specific plot of land for two to two and half years before it can’t sustain the nutrient demands of the plant anymore and the soil is damaged. Mitigating nutrient loss and plot cycling are the most significant answers to the most common problems. Farmers must understand the importance of putting back into the soil that which is taken by their crops, using regular organic fertiliser (before, during, and after patchouli programmes have run their course), maintaining efficient drainage, and rotating crops across their property so the land has time to rest and recuperate, before a new patchouli run can be farmed five to seven years later. Transfer of this savoir-faire is dependent on an agro-educational infrastructure, which Indonesia has lacked. National production centres have shifted from island to island over the last 20 years due to the plant’s need for fresh soil, but were greatly exacerbated by over-farming without strategy or foresight. 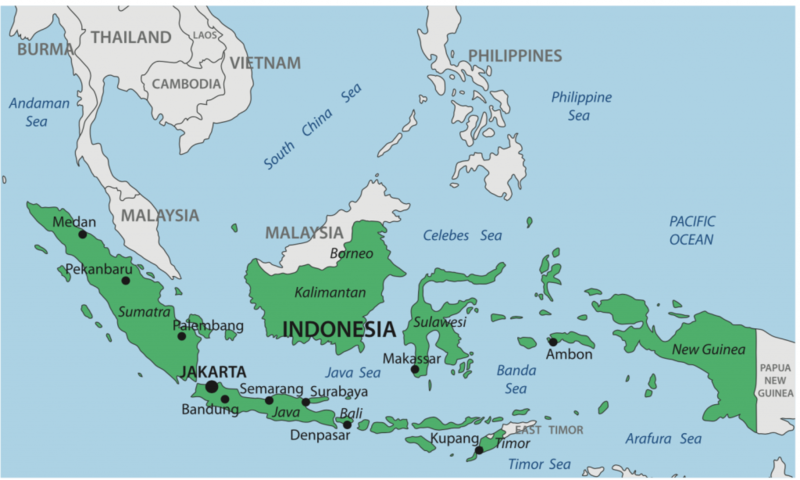 In 2000, Sumatra represented almost 100% of Indonesian supply whereas today it is 15%; in 2005, Java contributed 80% but today only 5%. The island of Sulawesi is now the biggest player with 80% of production. This is in a large part down to the government’s decades-long transmigration programme in which land, investment, and seedlings were made available to farmers willing to move out of heavily populated areas to country with plentiful free land in order to stimulate agricultural economy, control population density, and alleviate poverty. Sulawesi received the predominant amount of its transmigrants from Java. In 2015, the programme was ended by incumbent President Joko Widodo to avoid social disputes between communities. Given all the complications explained above, many farmers simply gave up their patchouli plots for easier-to-farm crops such as cacao and coffee. The cultural dilemma with the transmigration programme is also evident in an education deficit – it takes many years for cultivators to develop expertise with their crop and the constant resettlement of patchouli has meant true expertise cannot be developed. This goes hand-in-hand with more diseases for which ‘Budog’ is currently the most prolific infection, a fungal contamination solved only when the soil is in peak condition and treated with organic manures and pesticides. In many cases, the ‘new’ soils in Sulawesi were not as rich as the volcanic ones in Java and Bali, resulting in differences in acid value and patchoulol content in the essential oil. Sumatra has historically had the highest average patchoulol content at 30-34% and the lowest acid value at 3-4; Java is in a similar range at 30-31% and 4-5, respectively; Sulawesi’s blend is on the other end of the scale with 26-28% and 11-17. The prediction is that throughout 2019 the next migration will begin to take place, moving away from Southeast Sulawesi and further into the central mountains, which will result in some instability in production and potential price increases. Under the current production system, Sulawesi will only remain viable for the next five years or so, and where will it go from there? Some have suggested Flores as an option, but this is a very small island with little capacity. The oddity is that Java, after the exhaustion gap of 10 years now, should be ready to re-plant but patchouli has not yet returned to Java. Why has it not come back? Is it due to the land or the people or both? As long as everyone remains siloed and concerned with their owns interests, no one will profit from patchouli’s schizophrenic holidays around Indonesia. The most important people in the supply chain are without doubt the farmers themselves, as if they can’t grow then no one else has a job. The responsibility is on everyone to get this right, or otherwise patchouli may no longer be grown in Indonesia at all. Farmers must be willing to sacrifice short-term gains for longer-term profits, rather than always living for ‘today’. Their business partners should be willing to invest in the people, equipment, and R&D to support farmers and help them grow their business, as they are easily the most vulnerable demographic within the supply chain. The answer, overall, relies on ‘smarter’ farming – implementing best-practice based on updated soil studies and life cycle analyses to produce better patchouli using better organic materials; more strategic cycling of land and financial planning for growers; and more honesty from exporters and willingness to re-nourish previous production sites to solve supply issues. The knock-on effect should be beneficial for everyone – healthier patchouli producing a superior distillation with more patchoulol, fewer dollars needed for washing and refinement, and more efficient operations. The Van Aroma Team is up for the challenge. In their view “we all have to act responsibly, all major buyers and all exporters, and gather together the resources and efforts required to re-educate and support farmers through this process. Everyone has the same goal – to keep patchouli production healthy and consistent in Indonesia. If we had worked together years ago, perhaps the crop would have never moved from Sumatra”. Today’s millennial and Gen Z consumers are more ethically conscious than any previous generations and want to know how things are made and where they come from. The marketing possibilities for patchouli are huge. You can’t pretend patchouli is not a problem anymore, we must embrace it and work together to fix it, starting in Sulawesi before it is too late.